Our Sugar Pink Glass Pebbles are coral pink in colour. They are presented in a distinctive kidney/jelly bean shape and are available in one size only, 20-25mm long. 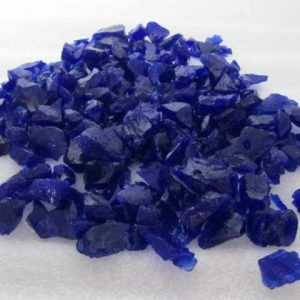 Our glass pebbles and chippings are made recycled glass products. The glass is melted to a very a specific temperature. An additive is mixed in with the glass to produce our consistent Sugar Pink colour. The coloured glass is cooled and reprocessed to form the popular sugar pink glass pebble. Floral Arrangements. The Sugar Pink Glass Pebbles have been used in floral arrangements, wedding table displays, window displays and for use in creative internal planting. Decorating Graves. One of the most common uses of the Sugar Pink Glass Pebbles is decorating graves. 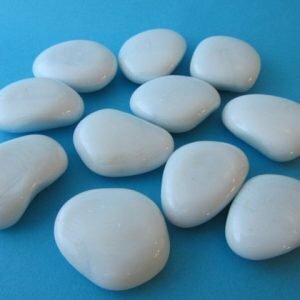 These beautiful glass pebbles offer a unique distinctive grave covering. 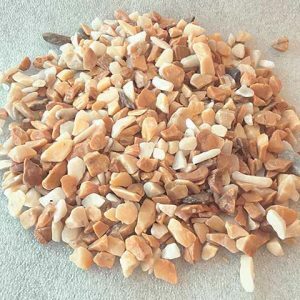 Many customers use a complete covering of the Sugar Pink Glass Pebble whilst others will mix the Sugar Pink Glass Pebble with another similar shaped but different coloured pebble to create their desired effect. The great advantage of this application is that the glass colour is permanent, it is not pigmented and therefore will not lose colour over time. 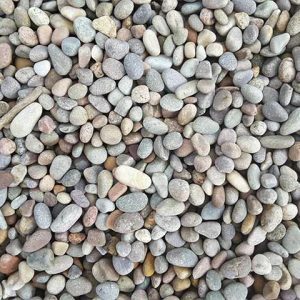 Typically customers use the online calculator to calculate the exact quantity of glass pebbles they will need. Landscape Design. Many landscape designers have incorporated these glass pebbles in individual landscape project to provide a truly unique design. 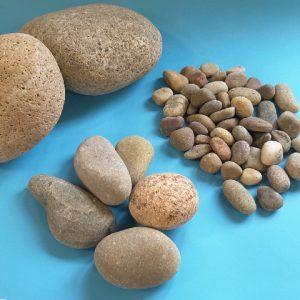 Some have used the Sugar Pink Glass pebble to add a distinctive element to their planting scheme whilst others have used the Sugar Pink Glass Pebbles to add a dimension to a water feature. Art & Craft. 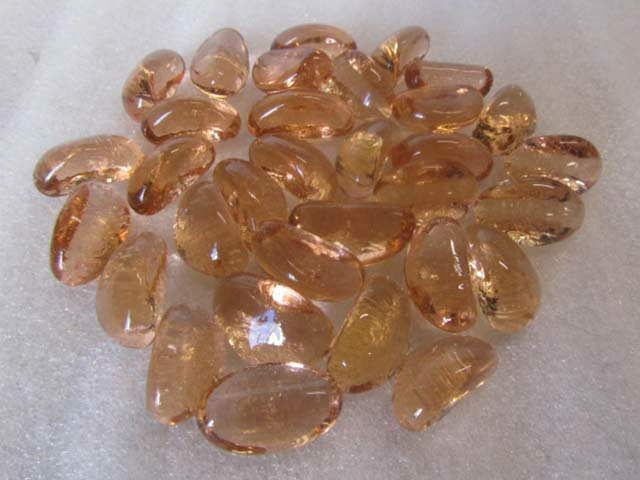 Many customers have incorporated the Sugar Pink Glass Pebble in their art & craft projects including mosaic pieces, stained glass and glass lamps. Often the customer will use the Sugar Pink Glass Pebbles with a variety of other coloured glass pebbles from the same range. As a Concrete Additive. Customers are now using the Sugar Pink Glass Pebbles as a way of introducing a creative element to concrete or driveways. The glass pebbles are set in concrete or are placed over LED lights in order to give a beautiful lighting effect to any concrete project. In Fish Tanks or Water Features. 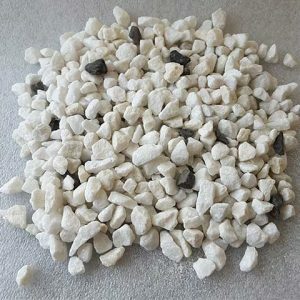 Sugar Pink Glass pebbles are used extensively in fish tanks or water features. The smooth nature of the glass pebble makes them fish friendly. Fire Pits. Our Sugar Pink Glass Pebbles have also been used as a decorative element for fire pits. The glass can sustain a high temperature.